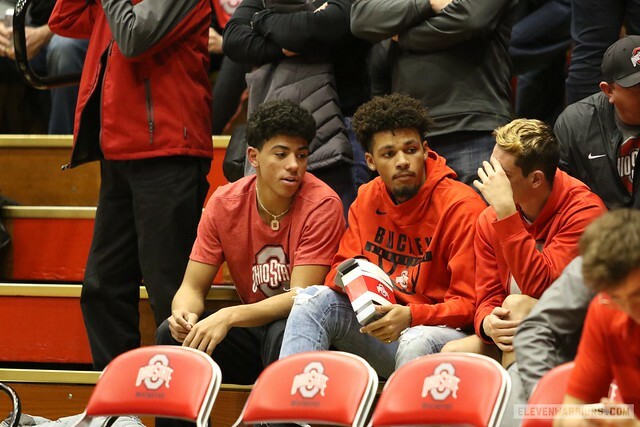 Discussion in '2019 Recruiting Class' started by OSUBasketballJunkie, Jun 16, 2018. Safe travels to @DJCarton who is on his way to Colorado Springs for the USA Basketball Men’s Junior National team mini-camp. Ohio State point guard commit D.J. Carton headed west from Bettendorf, Iowa, to Colorado Spring, Colorado, this weekend to take part in the USA Basketball Men’s Junior National Team minicamp held at the United States Olympic Training Center. The event, featuring 87 players, included 24 players from Carton’s 2019 class. Though Carton ranks as a five-star prospect, he won’t be the highest-rated player at the minicamp. The top seven prospects in the 2019 class, including Cole Anthony, the top guard in the country, will attend the event. It won’t be the first time Carton, the No. 24 prospect and second-ranked point guard in the country, dons the Team USA jersey. He tried out for the U18 National Team this summer, but did not make it through the final cut. Spending time around the top prospects this weekend allowed Carton become a recruiter for the Buckeyes, a role he embraced. When five-star #BuckeyeNation commit @DJCarton was in eighth grade, he gave up a sport he might have been even better at than basketball. 📝: Signing Day Alert: 2019 five-star DJ Carton will sign his LOI in November 19th, he tells Stockrisers. Signing his LOI on Monday at his school...……..
Ohio State Commit Dj Carton SNAPS w/NASTY Dunks! Best Player in Iowa?! VIDEO: When you're a 5 star PG that gets a steal on a fast break...the rim WILL get punished!! !